Graham Daniels background in international business, precious metals, law, real estate, and ancient Hebrew studies, is a unique blend that has placed him in demand for private counsel and as a convention speaker. Peter J. Daniels is a unique rags to riches story. His international connections include those in government, the legal fraternity, banking and the military. Dan El delivers first class estate planning that goes beyond wealth management, and is designed to incorporate the strategic benefits available in various sovereign dominions with the timeless and noble qualities of pure gold and pure silver assets. From 999.9 bullion bars, to Dan El exclusive proprietary minted coinage, regal fine jewelry, and our world first gold foil polymer notes, we value creative excellence. As a Client of Dan El, you enjoy access to the expertise and experience of Graham Daniels & Peter J. Daniels and their global connections. Together they continually create both conservative and “out of the box” strategies on business and lifestyle matters that add value to your world. As ones quest for greater horizons is rarely attained while living in the confines of the parochial, global integration may become a welcome companion. 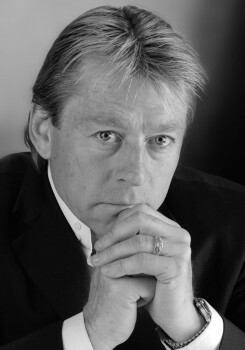 Graham Daniels, is a fifth generation Australian. His background in international business, precious metals, law, real estate, and ancient Hebrew studies, has provided a unique blend that placed him in demand for private counsel and as a convention speaker. In 1981 Graham was invited to the position of manager of Corporate Consultants International, a practice that specialised in Australian tax incentive programs, and by the mid 80’s was running his own tax, finance, and investment firm. In 1998, Graham produced and released the first of a series of privately issued gold and silver coins, struck at the Perth Mint in Australia, followed by mintings in Switzerland, Germany, Taiwan and Israel, with further bullion projects and interests in Malaysia, Italy, Thailand, Singapore, Hong Kong, Mexico and Liechtenstein. Today Graham consults on international estate planning and asset protection, lectures on lifestyle and economics, and is an advocate for a laissez faire society, open market economy, and minimalist government. His vision and ability to bring to fruition unique concepts and strategies, provides the edge to ensure Dan El remains a respected leader in its field. Peter J. Daniels is a unique rags to riches story. He came from a broken home and a disadvantaged background with his early years plagued by illiteracy, ill-health, dyslexia and ignorance. In spite of these disadvantages, Peter J. Daniels went on to build a large real estate business in Australia which expanded to the Southeast Asian market. His diverse involvements in business over the last 50 years have been far-reaching, culminating in him being honored by universities, institutions, and governments for his entrepreneurial ability and benevolence. 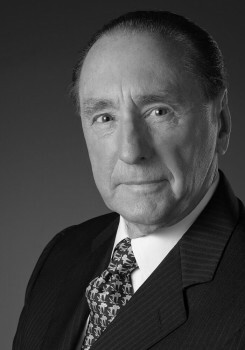 Peter J. Daniels has served on international boards with some of the world's greatest intellectual, business, academic, religious, and corporate giants of the 20th and 21st centuries, and continues to enjoy day to day business even though he is now in his 80’s! His international connections include those in government, the legal fraternity, banking and the military. Mr. Peter J. Daniels and his son Graham have worked on many projects together, Dan El being of particular interest.